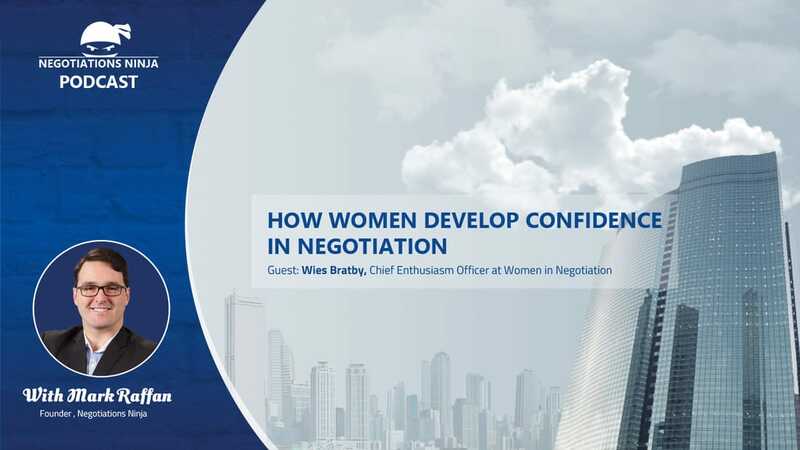 Wies Bratby, Chief Enthusiasm Officer at Women in Negotiation, is on the show today to talk about how women can develop confidence in negotiation and change their mindset. Negotiation is a life skill that women typically don’t get taught. And Wies’ mission is to correct that. She teaches how women can empower themselves to negotiate raises, promotions, and better benefits for themselves. Ultimately it all comes down to the development of confidence. And, as I learned, women view negotiating for themselves very differently than negotiating for others.